Shadow passed away on Monday morning after suffering a stroke over the weekend. 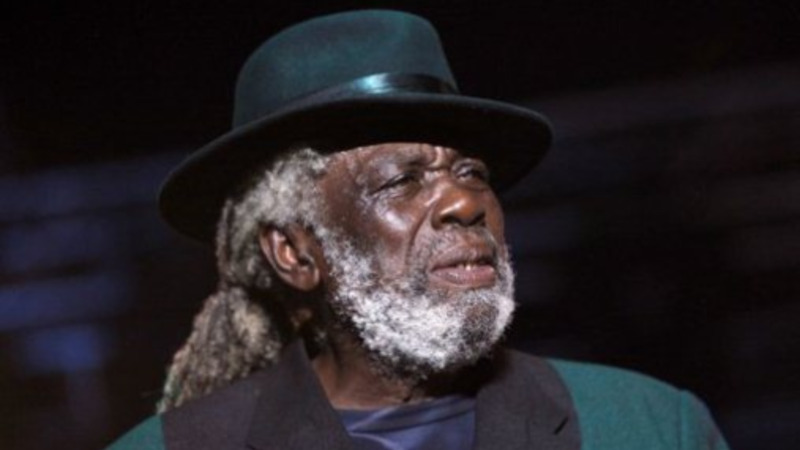 The man who gave us memorable classics such as ‘Bassman’, ‘Dingolay’, Yuh Looking for Horn’ and ‘Stranger’ among several others, has been remembered for being a master storyteller, good friend and straightforward person. Here are responses from several people in the music community. "I'm deeply saddened to hear of the passing of Winston Bailey aka the Mighty Shadow. He truly was a visionary and a pioneer in his inimitable musical style. From 'Bassman' to 'I come out to play' to 'Pay de Devil' to 'Poverty is Hell' to 'Dingolay' and so many other classics he made us all listen, sing and dance. His music possessed sweet melodies, piercing lyrics and bouncing basslines. He will be celebrated forever. 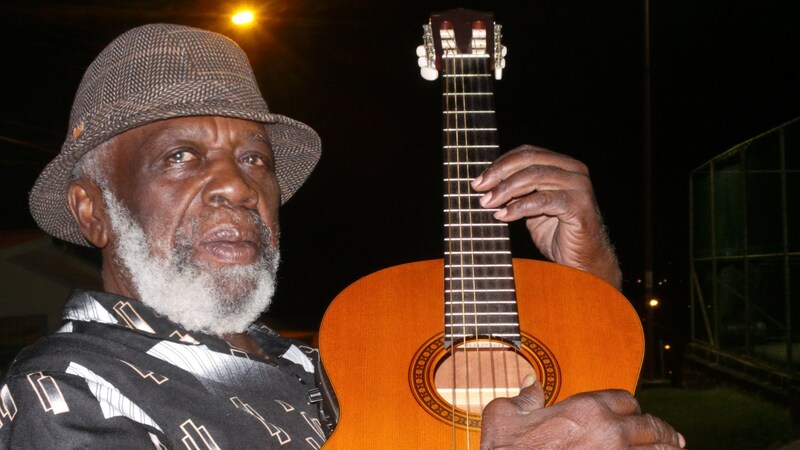 May he rest in peace"
The Trinidad and Tobago Promoters Association this morning expressed its condolences to the family and loved ones on the passing of one of our musical giants Winston ‘The Mighty Shadow’ Bailey. Many of us called him a true patriot and friend and we are saddened by this loss to our culturescape. As we know his relatives and friends will be grappling with this loss in the coming days, the TTPA extends its arms to offer any assistance that they may need. Once again we are saddened by this loss and we give the assurance that we will do all we can to celebrate his powerful contribution to us all and keep his legacy alive. Many of us will stand in our homes and sit in our cars today and dance to the music he made, we want to remember him with joy. Thank you, Shadow. As a musician I had many times I was responsible for the band doing music for him and I guess we can say he was our friend, he was my friend, he knew my name before he was in anything. He was a beautiful human being, very misunderstood. People who look at Shadow think about problems because he spoke about things that were wrong and not right. Up to today he never got any special commendation from nowhere. We are all human and we know we are contributing to the people and although there are people who feel we does make money, we don’t make money. We had a beautiful relationship. He was very serious with his music, very, very serious. He was a loving human, he would put his hand in his pocket to help anybody. In his own way he had a special way of showing people love but when he gives it to you, you would know. He didn’t play games, he would tell you no if he had to, he was a lovely person. I could safely say that idolise two artistes in our culture: Black Stalin and The Mighty Shadow. For me, Shadow was the model image of sound, trend and talent to always watch. I used to call him Uncle, he called me Nephew. "Poverty Is Hell" was my favourite song from his catalogue - it was real, it was relevant, it was classic... a beautiful song. All my career I was hooked on his music; it's what I was grown up on. When I sang "Carnival Jumbie" in 2011, there was no doubt that the sound and flow of that song was shaped and inspired after Shadow's unique style. I remember him coming to congratulate me to tell me to keep up the good work, and that is an honour and highlight of my career. Uncle was a very loving, warm, approachable man. He loved 'ole talk', loved jokes and loved being around the people he loved. He was a brilliant musician, and I want to send condolences to family, friends and the industry; he served his community, his culture, his country and the Caribbean well. Let's give our artistes their flowers while they are here. He gave the best of himself to better our culture, and his music will live on forever. He's been a permanent fixture in my life for as long as I can remember; my Dad was Shadow's overseas manager for a short time. I was very young and used to help sell his record "Way, Way Out" along with Baron's two songs, "Consuela" and "Gone Gone Gone" in parties - three singles for $15. That's how we kept the culture moving. "Way, Way Out" was my favourite song from him. I have a very distinct memory of him after performing in Orlando Carnival, with Baron and Crazy playing cards backstage...there was a camaraderie in that space. He was the most humble, perfect, natural human being. Shadow had a great impact on people without moving a muscle. He moved an entire world of Soca Culture with his voice. I can't really consider him just a calypsonian or just a soca artist or just a businessman. He was everything to the culture because that generation was under a different pressure to succeed - they were doing live recordings, so he worked to master his craft from every possible angle. He was self-taught and self-made, and there was a rawness and authenticity to his craft that couldn't be manipulated. His death is a huge blow to the fraternity and I am saddened; he had a special formula that will set the standard for generations to come. I think a lot of Shadow. He is singlehandedly one of the three superstars that I really looked up to, along with Kitch (Lord Kitchener) and (The Mighty) Sparrow. When it came to being original, he didn't fight or fear that or who he was. He didn't have to try to be great; he just was. His manner of speech, the organisation of his quality music and the people he had around him regarding the creating process were the best. One of Shadow's main producers was Art De Couteau, and I was subliminally influenced by his work from a very young age because my mother (Barbara Crichlow-Shaw, first female executive of PANTrinbago) and grandparents played Shadow's music daily in our household. As Shadow's primary producer, Mr. De Couteau took drummology and percussion influences from Cuban and Latin periods and immersed them into our cultural patterns. I'm grateful for Shadow's body of work having a great impact on the way that I approach and appreciate music, and I send condolences to his family. We have really lost a timeless icon. Aaron "Voice" St. Louis, 3-time reigning International Soca Monarch King. I've always been a huge fan of Shadow. I was raised in the belly of calypso, thanks to my grandfather (Ras Shorty I), so to me and the Blackman family, he stood as a brother in music alongside my grandfather and other stalwart calypsonians of that era. Shadow was always ahead of his time, and in listening to his music over time, I can see the incredible influence he's had on our culture. I've always done my best to pay tribute to those who paved the way before me, and it is heartbreaking because I've always wanted to pay the ultimate respect and collaborate with him. My team and I reached out to him and the Bailey family recently because I wanted to do a song with him. The important thing for me has always been to shine a light on the greats, and to show upcoming artists who they can look to as legendary examples in this industry. "Dingolay" was my favourite Shadow song, but his body of work really showed how amazing he was as creative in general, and what he stood for. To me, he stood for justice in our culture. Even during the evolution of calypso and soca, he stood tall in his own unique light. Shadow taught me that we have not finished what they have started, and we have a duty to continue to be inspired by the evolution and revolution in his music. I send condolences to Shannon (his son), his family and our music circle." A master storyteller and his compositions were testimony to his genius mind and amazing imagination. We were working together recently and discussing another performance, and this is so hard to accept. On behalf of the MusicTT board, staff and members, I want to express my Condolences to his family. We salute this cultural icon. RIP Shadow.